Best of all, these beautiful trails give you endless opportunities for healthy outdoor exercise – hiking, backpacking, trail running, climbing, zip-lining, and more. Sugarlands Valley Self-Guided Nature Trail: Just half a mile long, this accessible trail is mostly paved, relatively flat, and perfect for strollers and wheelchairs. You&apos;ll wander through beautiful mossy woods to a wide, crystal-clear stream, then loop back to the parking area – a leisurely 25-minute trek. Along the way, you&apos;ll spot the ruins of rustic chimneys, the remains of a once-thriving farming community. Plus, you&apos;ll learn all about regional lore and native plants and trees, thanks to informative plaques dotted here and there. You&apos;ll even find special tactile exhibits for the visually impaired. The parking lot and trailhead are conveniently located on US 441 (Newfound Gap Road) less than half a mile south of the Sugarlands Visitor Center, near Gatlinburg. Laurel Falls Trail: This popular paved trail takes you on a pleasant 2.9-mile round trip, with a total elevation gain of just 314 feet. The highlight of the trek? Spectacular Laurel Falls, a two-tiered 80-foot waterfall plunging over picturesque rocks, with a walkway between its upper and lower sections. One word of caution: While the trail is family-friendly, there are some steep drop-offs near the sides, especially as you approach the waterfall. So, if you&apos;re hiking with small children, be sure to keep a close eye on them. To get to the trailhead from Sugarlands Visitor Center, drive to the top of Fighting Creek Gap (3.8 miles). If you&apos;re up for a bit of a challenge, the Smoky Mountains give you plenty of options. Try the hike to popular Abrams Falls, for starters – a moderately difficult 5.2-mile trek with a total elevation gain of 675 feet. At the 2.6-mile mark, you&apos;ll reach a short trail that leads to the scenic waterfall, a 20-foot-high cascade famous for its massive volume of frothy, foaming water. This awe-inspiring torrent spills into a beautiful pool, but resist the urge to swim: Strong currents and an undertow pose a very real drowning hazard. Also resist the urge to climb the rocks right around the falls: Algae and mist make them dangerously slippery. It takes three to four hours to hike the round-trip trail, so start early. Be sure to wear hiking shoes with plenty of traction. And don&apos;t forget your camera or camera-equipped phone. You&apos;ll want to get plenty of pics of the stunning scenery. Other moderately strenuous hiking trails include Porters Creek Trail (four miles long and loaded with history); Andrews Bald Trail (3.5 miles long, with spectacular views); and the Alum Cave Trail (with a total elevation gain of 1,125 feet and panoramic views along the way). All are conveniently located close to Gatlinburg. If you&apos;re a veteran hiker – and physically fit – you may want to tackle some of the more difficult trails in the Great Smoky Mountains National Park. For a real workout, hike the Anthony Creek and Bote Mountain trails up Thunderhead Mountain. The steep, grueling climb takes you to the Appalachian Trail and eventually to iconic Rocky Top, where you&apos;ll enjoy magnificent views of Cades Cove, Clingman&apos;s Dome, and Mount LeConte. The entire round-trip trek covers 13.9 miles, with an elevation gain of 3,665 feet. Yikes! 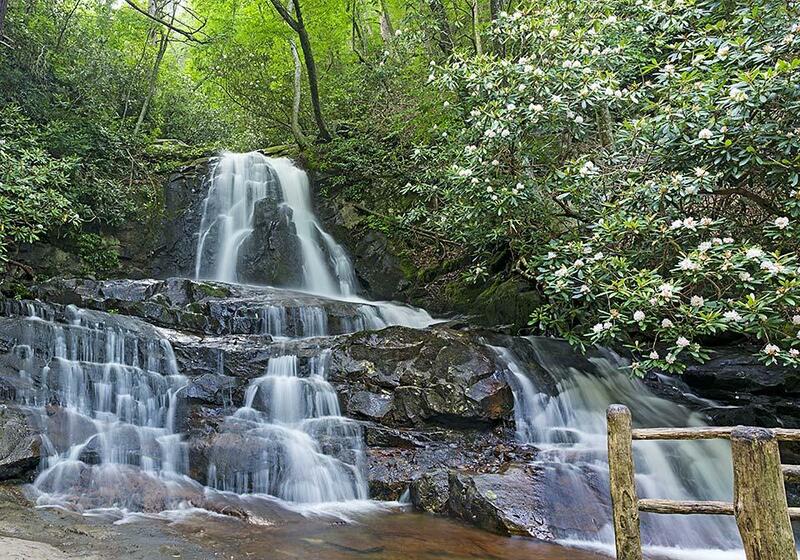 For an even tougher challenge, try Rainbow Falls Trail, offering a rigorous ascent to the summit of Mount LeConte. At 13.8 miles round-trip – with a total elevation gain of 3,993 feet – this trail is not for the faint of heart. But experienced hikers say its impressive waterfall and sweeping views are more than worth the effort. As always when you hike, wear appropriate footwear. (No flip-flops!) Plus, be sure to carry a water bottle, charged phone, and first-aid kit. Want an Alternative to Hiking? How About Zip Lining? Hiking isn&apos;t the only way to savor the scenery in the Smoky Mountain area. At Wears Valley Zipline Adventures (1911 Wears Valley Road, Sevierville), you and your family can soar on zip lines – 250 feet high in the air – over miles of unspoiled forest, with eye-popping views of Mount LeConte and the National Park. Don&apos;t miss out. Take your family to the Tennessee Smokies for the outdoor adventure of a lifetime!